One of the enjoyable elements of travel to the Bible lands can be the folks you share the experience with. I have been privileged on two trips to have my daughter Alysha with me, both in Israel and in Egypt. It’s a treat when you’re in Egypt to sail on the Nile in a Felucca. We took a short excursion one afternoon, August, 2003. 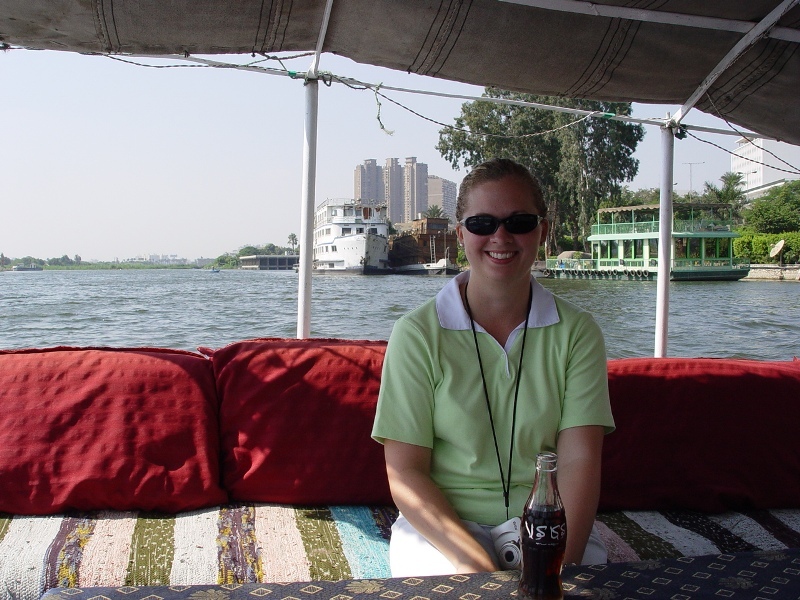 Alysha in Felucca on Nile River. Photo ©Leon Mauldin. There were other feluccas along the bank, ready for use. 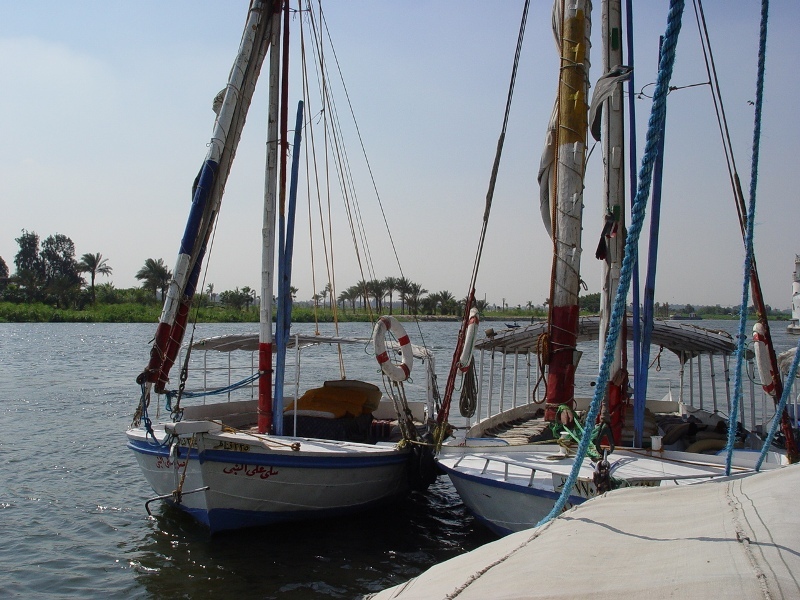 Feluccas along the Nile. Photo ©Leon Mauldin. 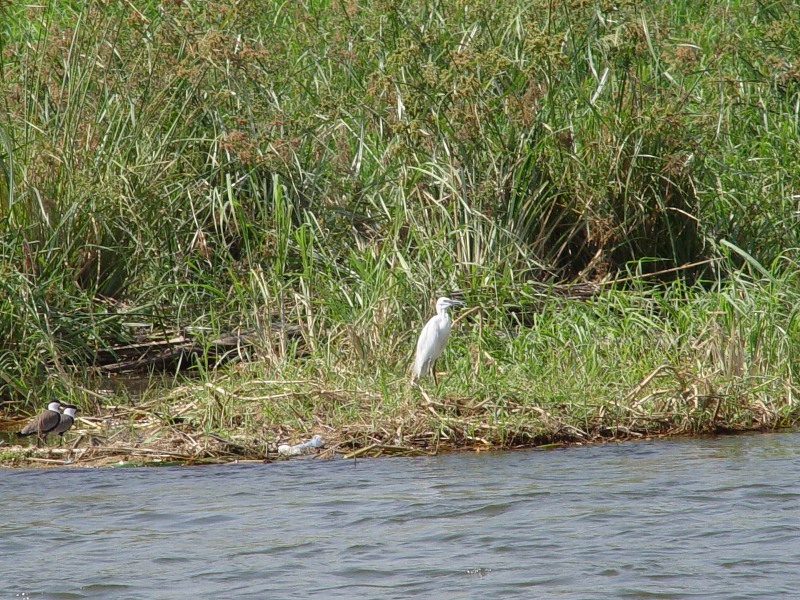 Reeds along the Nile. Baby Moses was placed in a basket in a setting like this. Photo ©Leon Mauldin. In God’s good providence Pharaoh’s daughter had compassion on the Hebrew baby, and allowed him to live. She gave him the name Moses, and secured a Hebrew nurse, Moses’ mother!